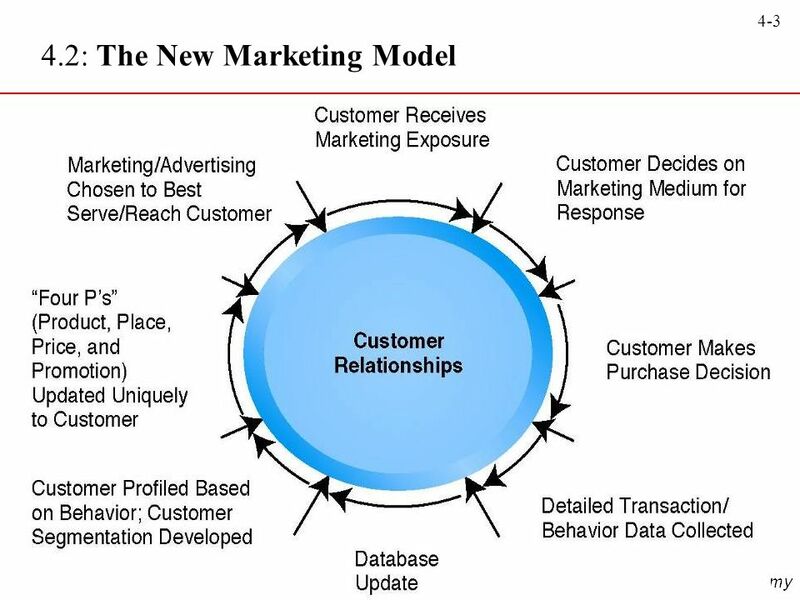 Marketing that treats each customer in an unique way, facilitated by the use of Internet technologies. 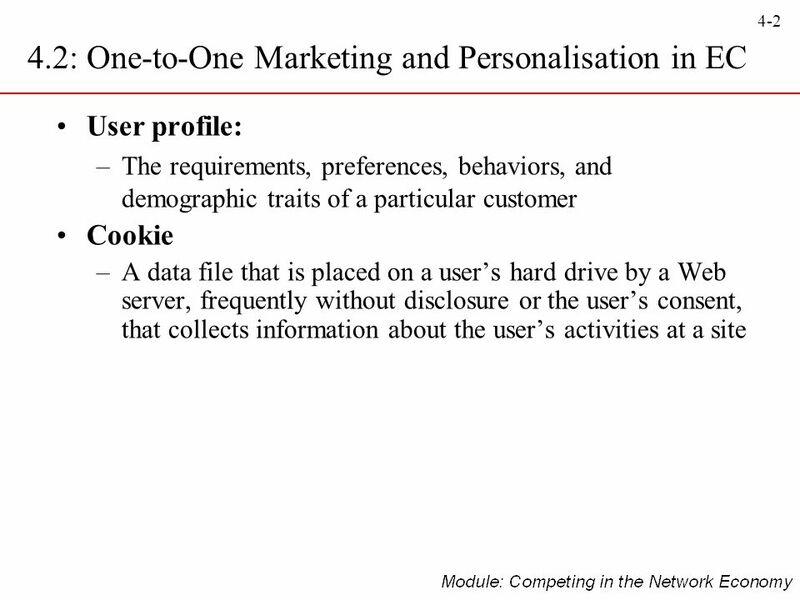 Personalisation: The matching of services, products, and advertising content to individual consumers. 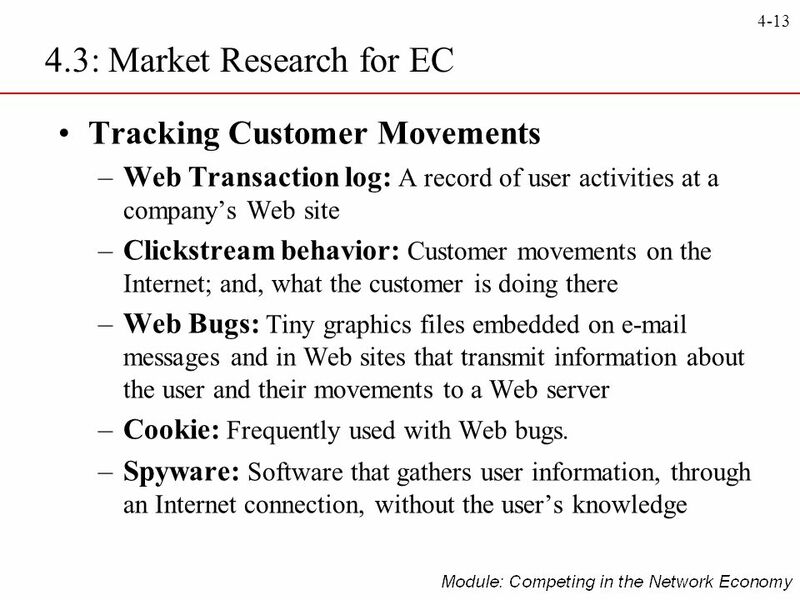 Several different ways to obtain information from consumers Soliciting the information from the individual directly, using cookies or other methods to observe online behavior Performing market research Extrapolating from previous purchasing patterns Matching an individual’s preferences (via a software system) to available products and services. 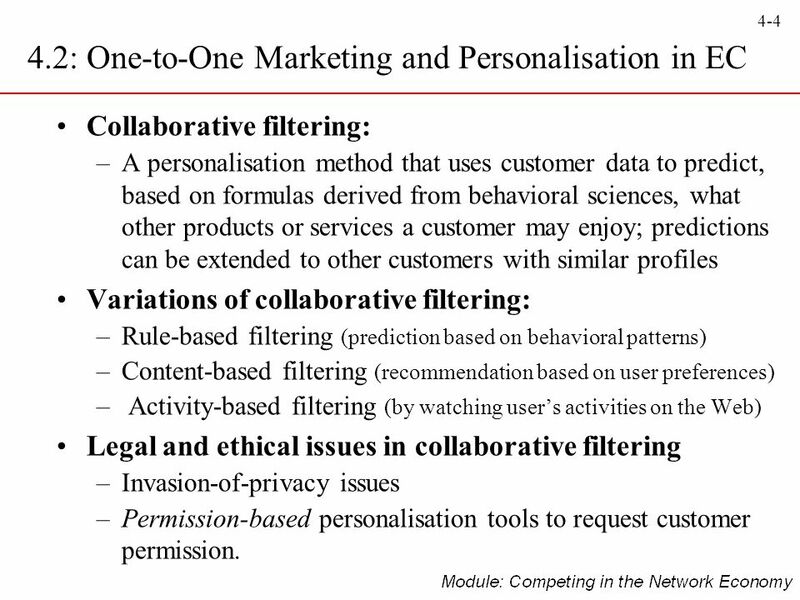 Collaborative filtering: A personalisation method that uses customer data to predict, based on formulas derived from behavioral sciences, what other products or services a customer may enjoy; predictions can be extended to other customers with similar profiles Variations of collaborative filtering: Rule-based filtering (prediction based on behavioral patterns) Content-based filtering (recommendation based on user preferences) Activity-based filtering (by watching user’s activities on the Web) Legal and ethical issues in collaborative filtering Invasion-of-privacy issues Permission-based personalisation tools to request customer permission. 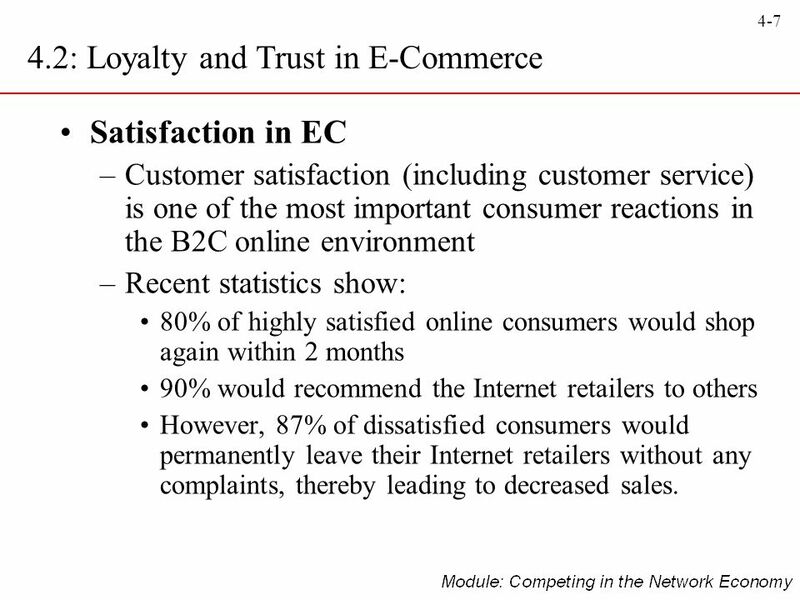 Satisfaction in EC Customer satisfaction (including customer service) is one of the most important consumer reactions in the B2C online environment Recent statistics show: 80% of highly satisfied online consumers would shop again within 2 months 90% would recommend the Internet retailers to others However, 87% of dissatisfied consumers would permanently leave their Internet retailers without any complaints, thereby leading to decreased sales. 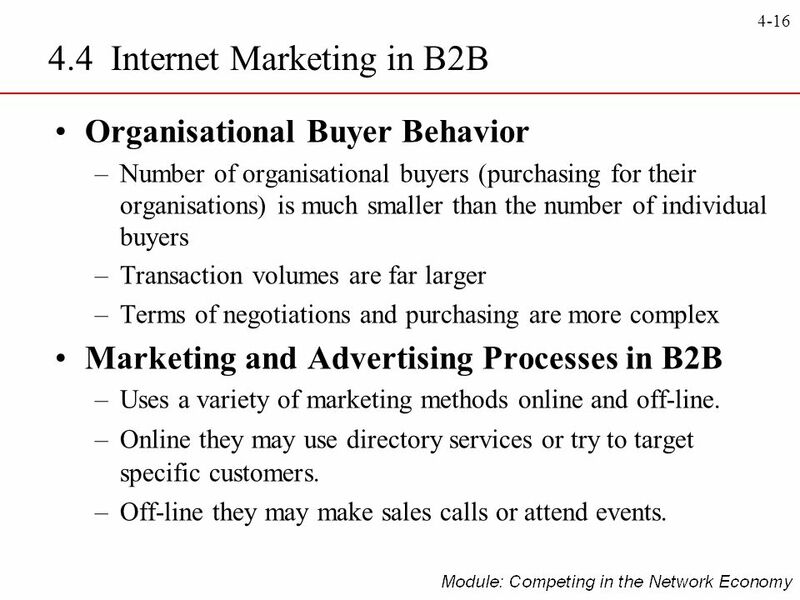 Organisational Buyer Behavior Number of organisational buyers (purchasing for their organisations) is much smaller than the number of individual buyers Transaction volumes are far larger Terms of negotiations and purchasing are more complex Marketing and Advertising Processes in B2B Uses a variety of marketing methods online and off-line. 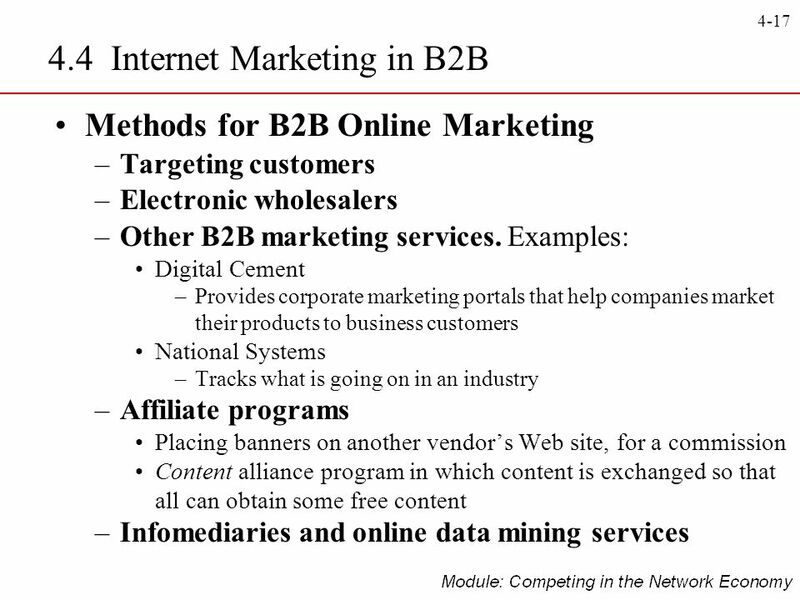 Online they may use directory services or try to target specific customers. Off-line they may make sales calls or attend events. 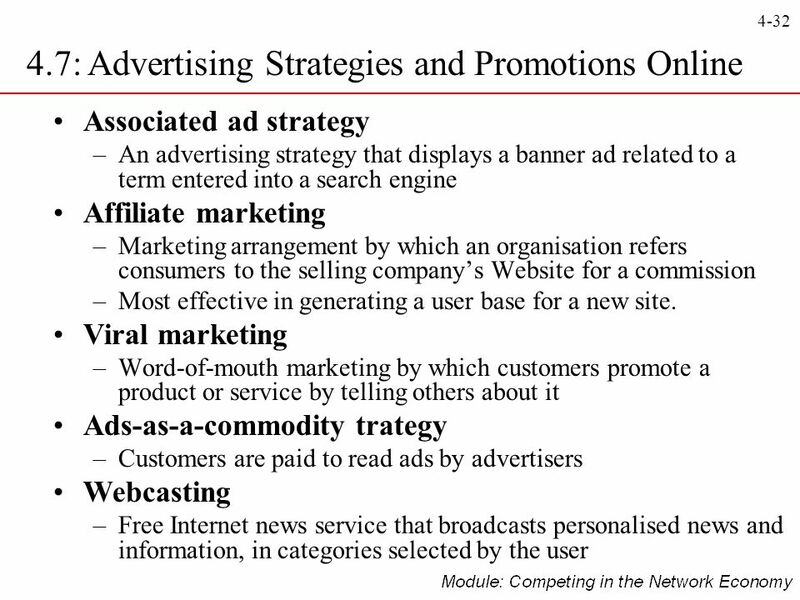 Role of Ad Networks in Web Advertising Advertising networks are specialised firms that offer customised Web advertising. 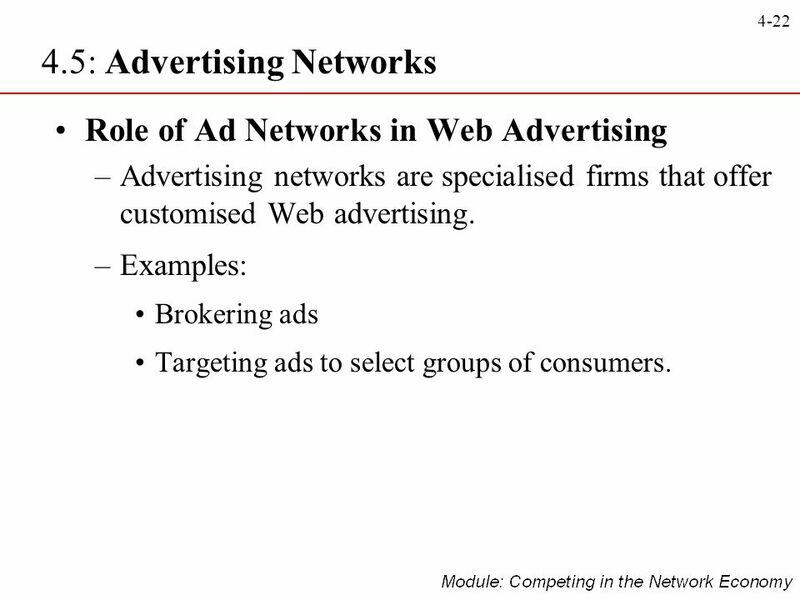 Examples: Brokering ads Targeting ads to select groups of consumers. 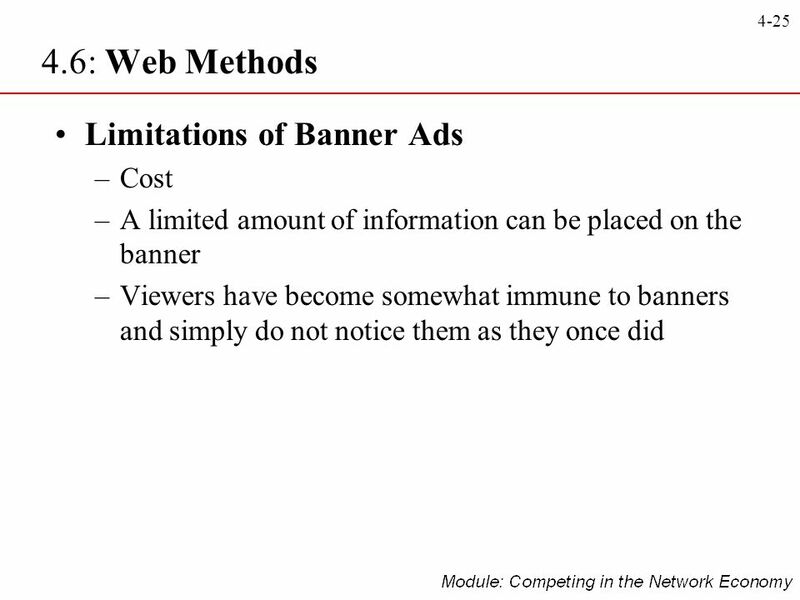 Possible for advertisers to send out large volumes of advertisement contained inside messages. 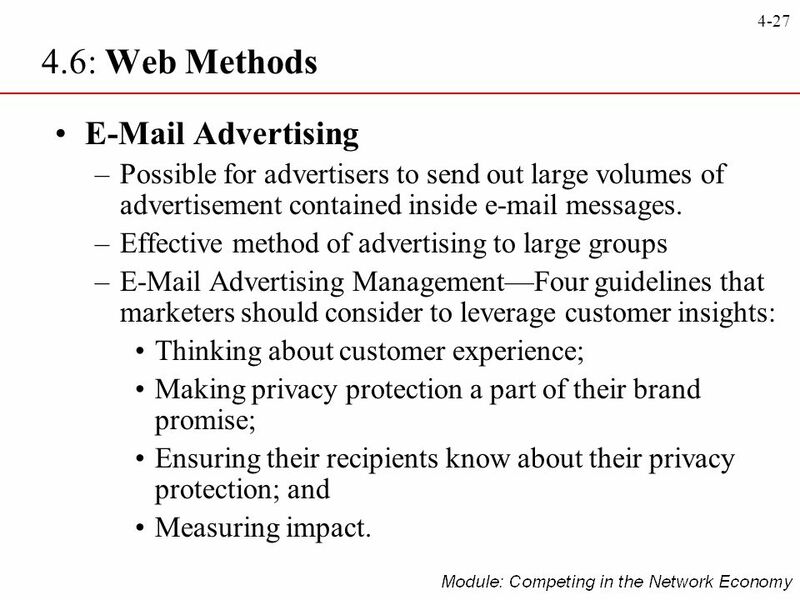 Effective method of advertising to large groups Advertising Management—Four guidelines that marketers should consider to leverage customer insights: Thinking about customer experience; Making privacy protection a part of their brand promise; Ensuring their recipients know about their privacy protection; and Measuring impact. 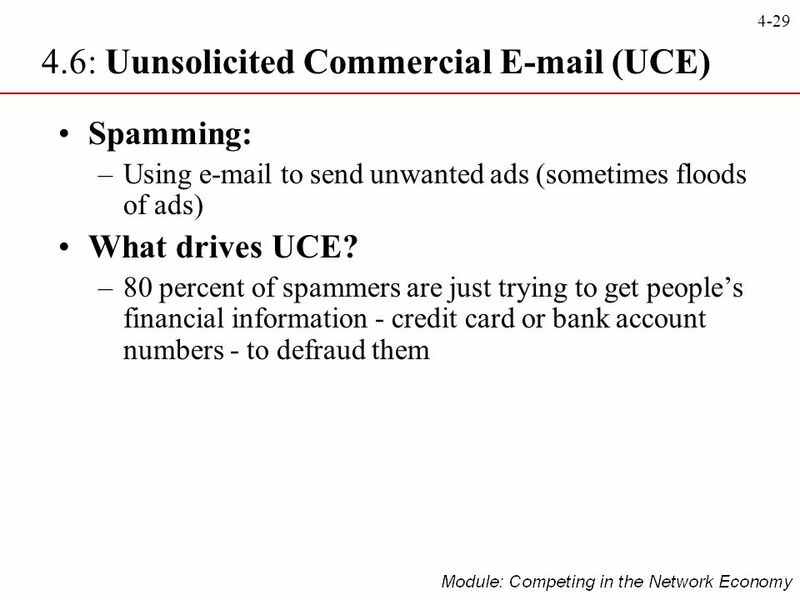 Why is it difficult to control Spamming? 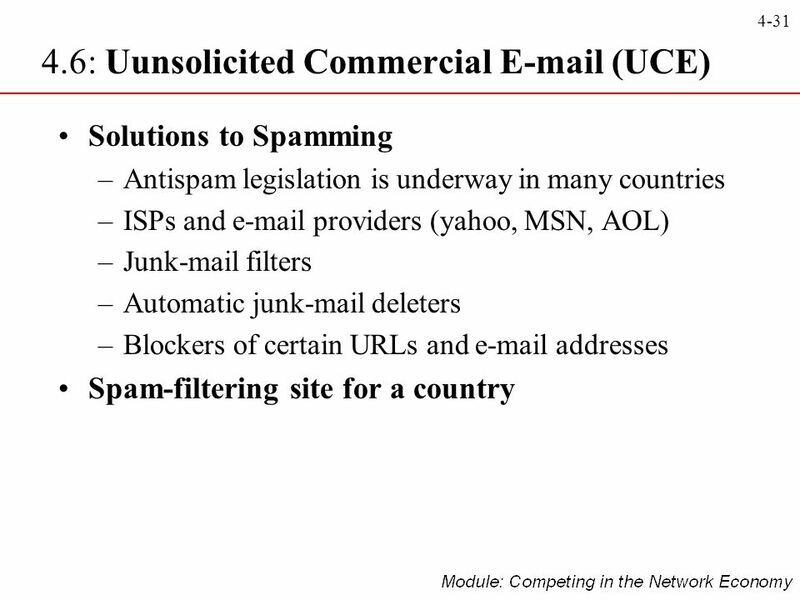 Spammers send millions of s, shifting internet accounts to avoid detection Use cloaking, they strip away clues (name and address) about where spam originates Server substitutes fake addresses Many spam messages are sent undetected through unregulated asian routes Spamming is done from outside the U. S.
Customising Ads Advertisements are customised by comparing users’ preferences to available products or services. 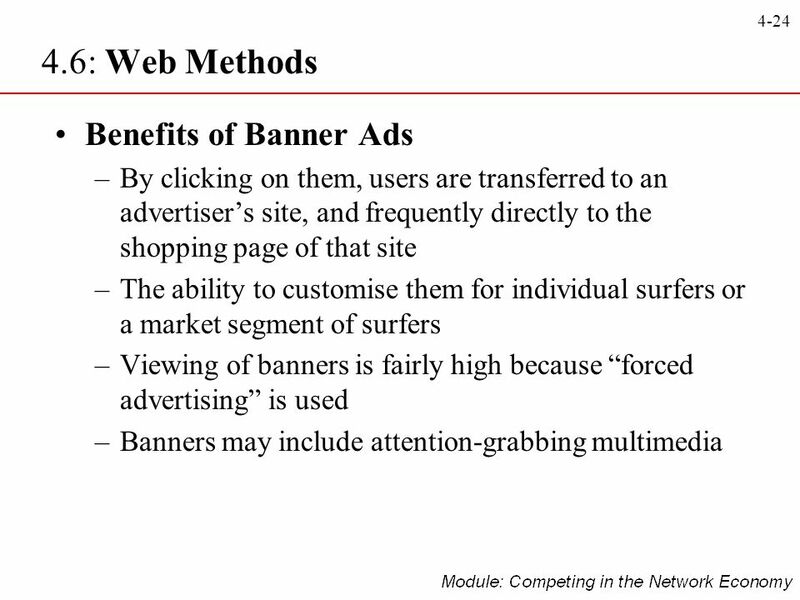 Products or services that fit a user’s preference are then used as the ad is displayed/sent. 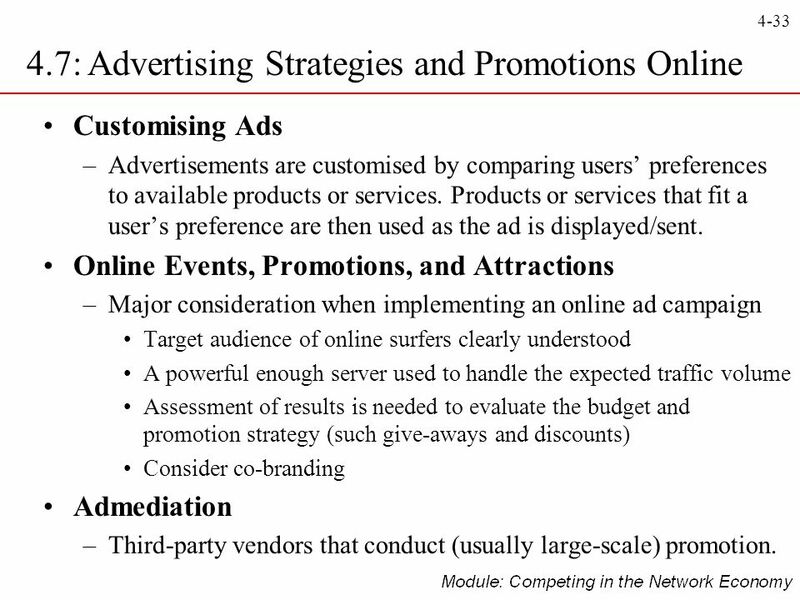 Online Events, Promotions, and Attractions Major consideration when implementing an online ad campaign Target audience of online surfers clearly understood A powerful enough server used to handle the expected traffic volume Assessment of results is needed to evaluate the budget and promotion strategy (such give-aways and discounts) Consider co-branding Admediation Third-party vendors that conduct (usually large-scale) promotion. 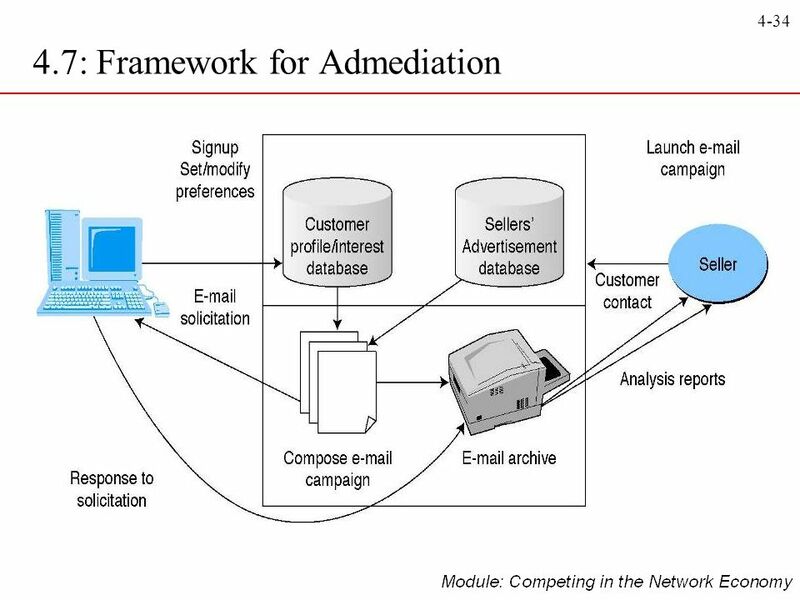 Permission Marketing Advertising (marketing) strategy in which customers agree to accept advertising and marketing materials Ad Management Methodology and software that enable organisations to perform a variety of activities involved in Web advertising (e.g., tracking viewers, rotating ads) Localisation The process of converting media products developed in one environment (e.g., country) to a form culturally and linguistically acceptable in countries outside the original target market. 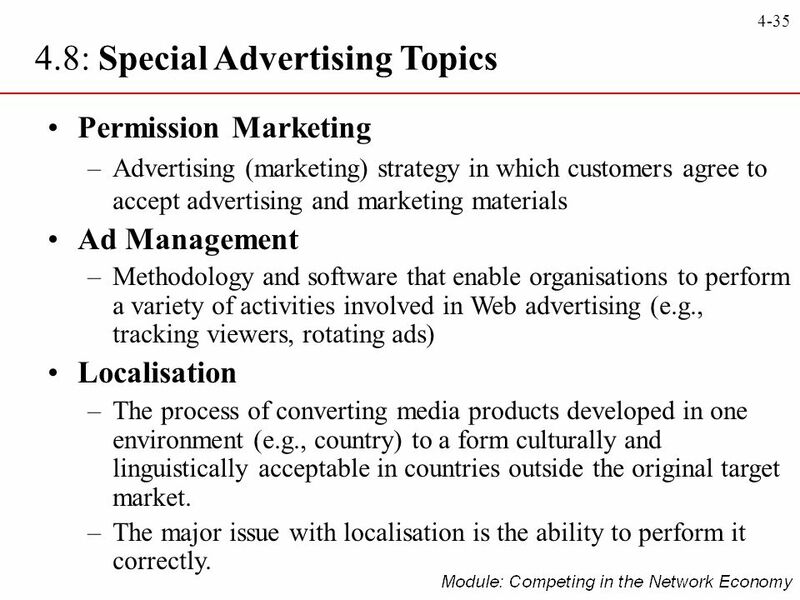 The major issue with localisation is the ability to perform it correctly. 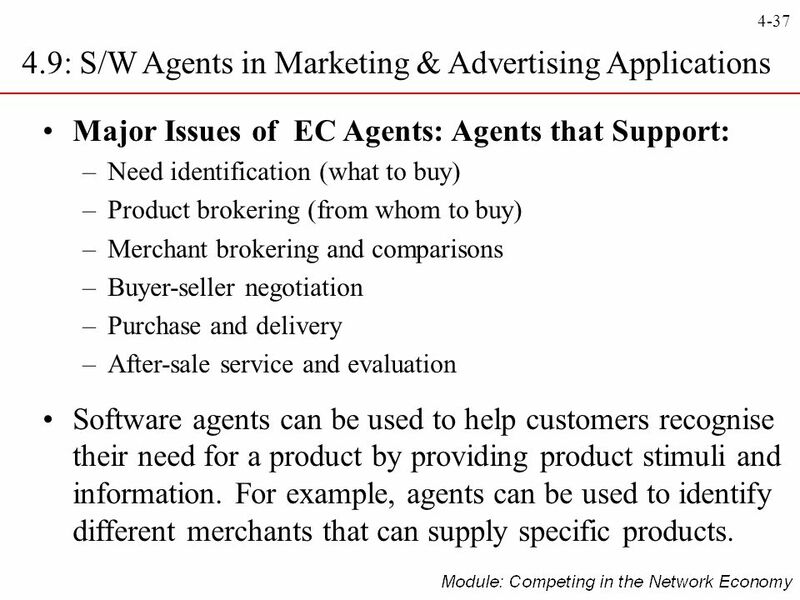 Major Issues of EC Agents: Agents that Support: Need identification (what to buy) Product brokering (from whom to buy) Merchant brokering and comparisons Buyer-seller negotiation Purchase and delivery After-sale service and evaluation Software agents can be used to help customers recognise their need for a product by providing product stimuli and information. 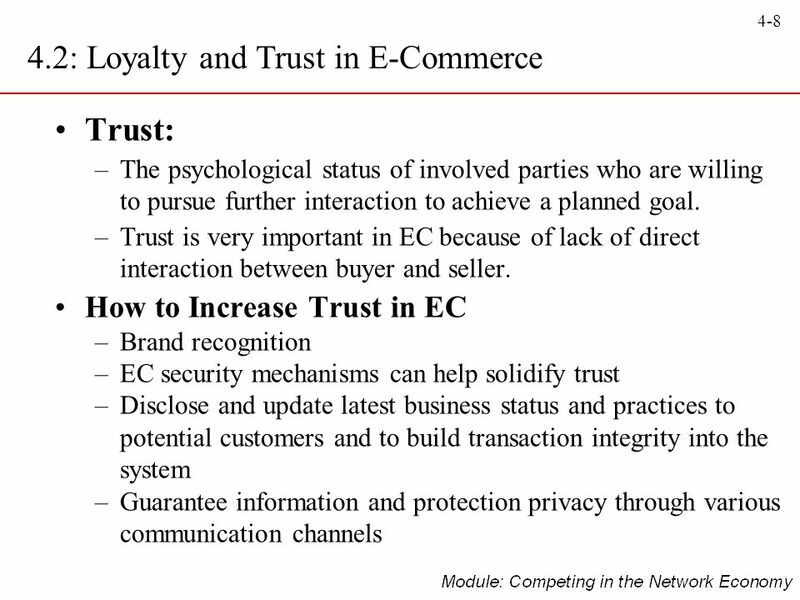 For example, agents can be used to identify different merchants that can supply specific products. 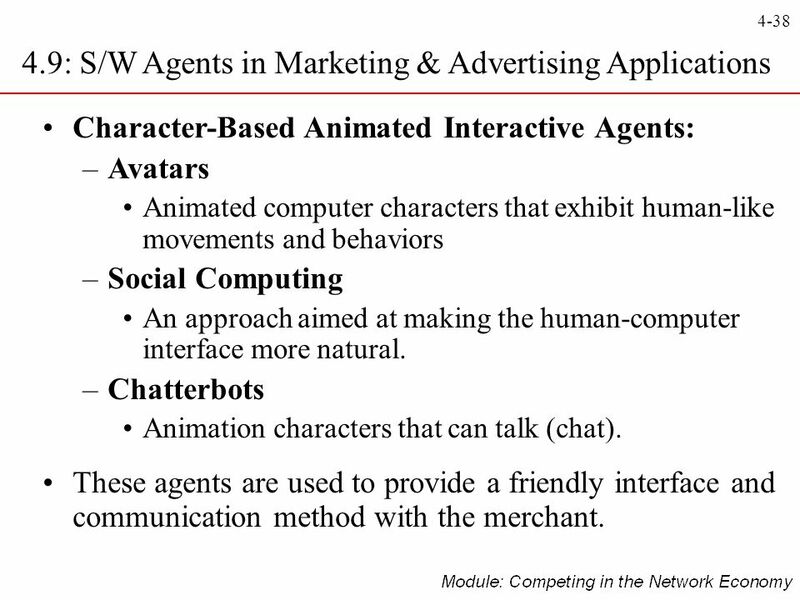 Character-Based Animated Interactive Agents: Avatars Animated computer characters that exhibit human-like movements and behaviors Social Computing An approach aimed at making the human-computer interface more natural. Chatterbots Animation characters that can talk (chat). These agents are used to provide a friendly interface and communication method with the merchant. 39 Managerial Issues 1. 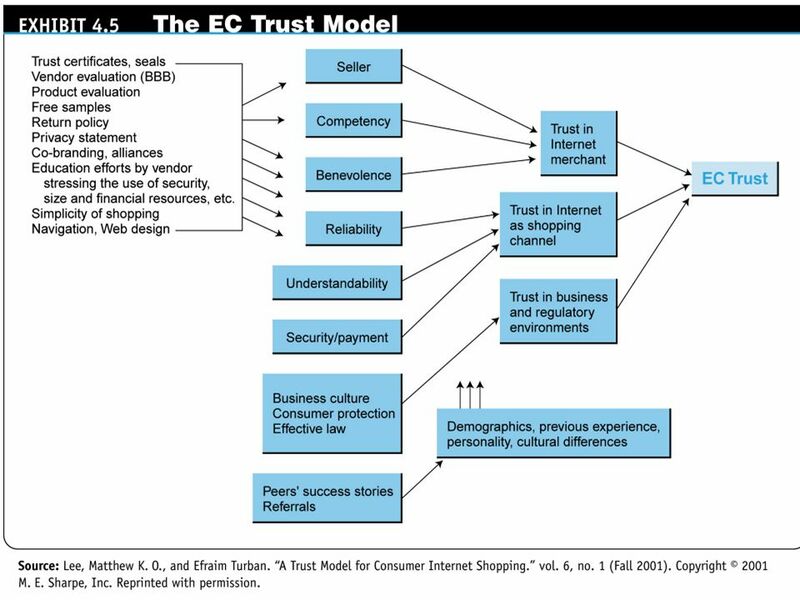 Do we understand our customers? 2. Should we use intelligent agents? 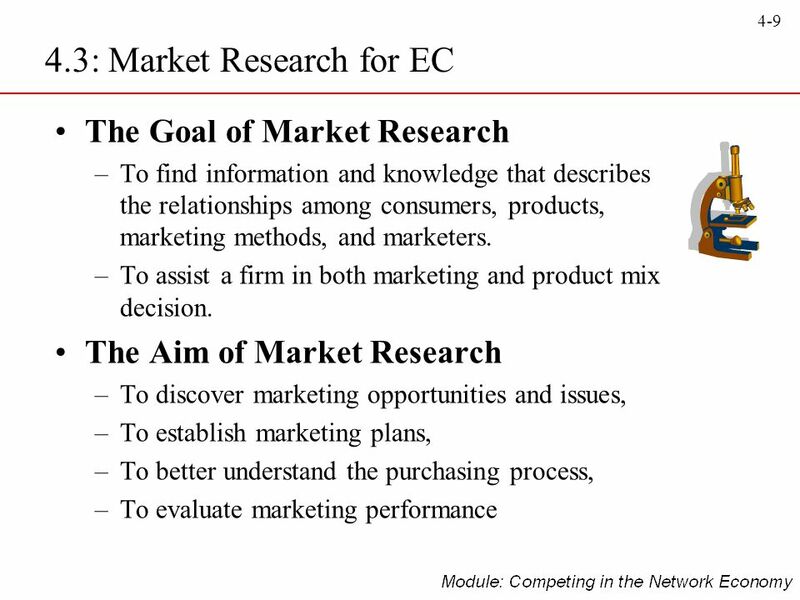 3. Who will conduct the market research? 4. Are customers satisfied with our Web site? 5. 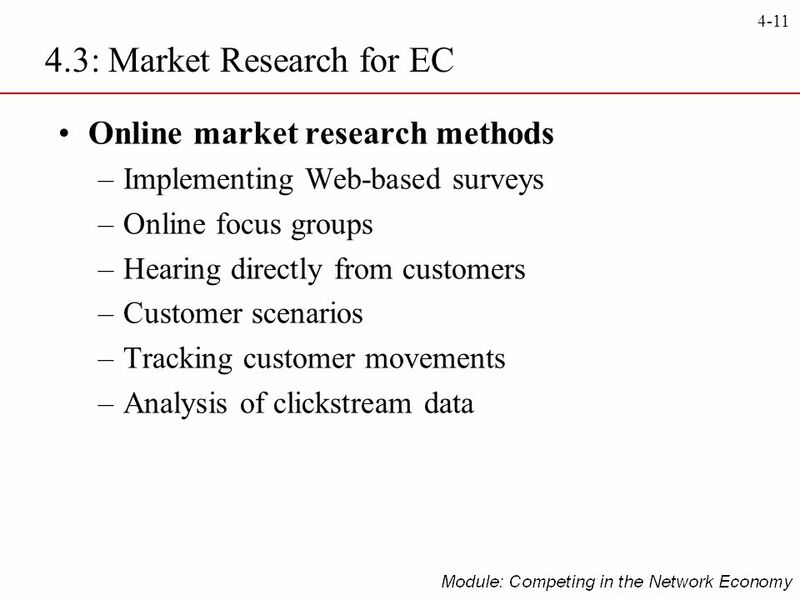 Can we use B2C marketing methods and research in B2B? 6. How do we decide where to advertise? 7. 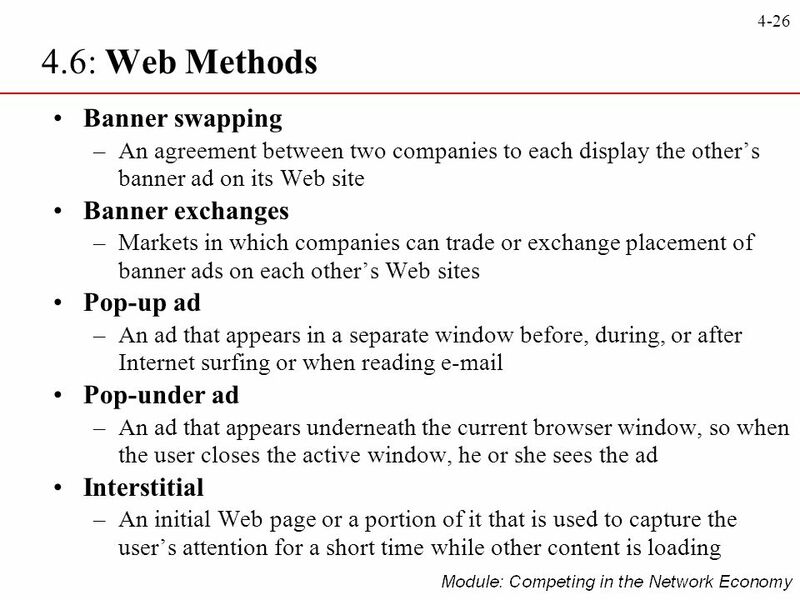 What is our commitment to Web advertising, and how will we coordinate Web and traditional advertising? 8. 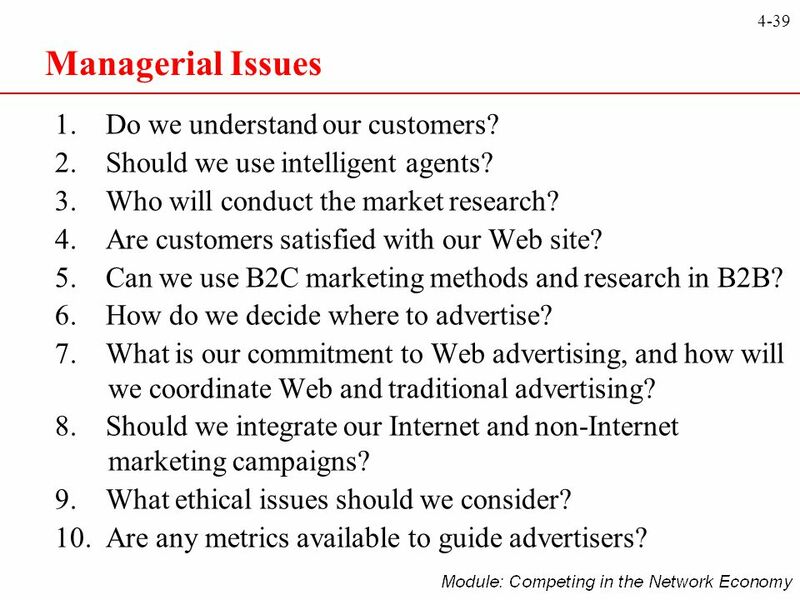 Should we integrate our Internet and non-Internet marketing campaigns? 9. 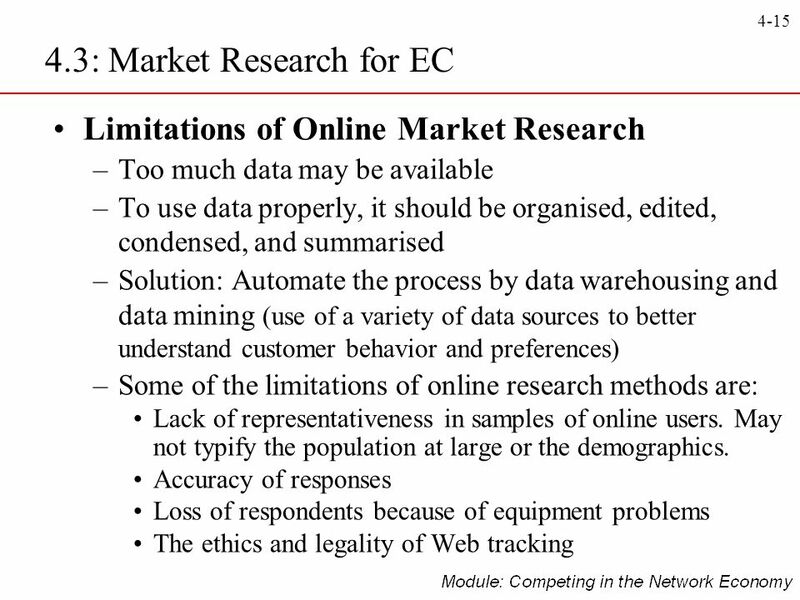 What ethical issues should we consider? 10. 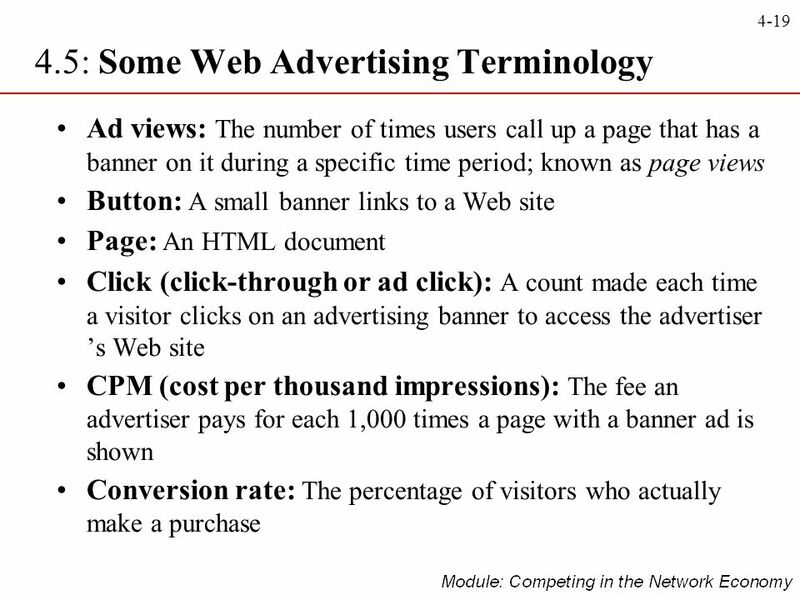 Are any metrics available to guide advertisers? 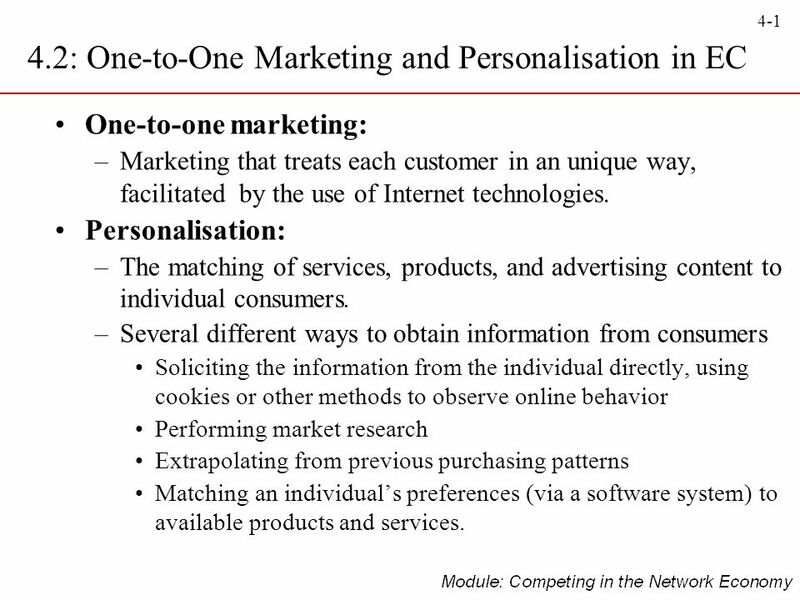 Download ppt "4.2: One-to-One Marketing and Personalisation in EC"
1 Lecture 4: Advertising Lecture Outline Web Advertisement Terminology Why Internet Advertisement? 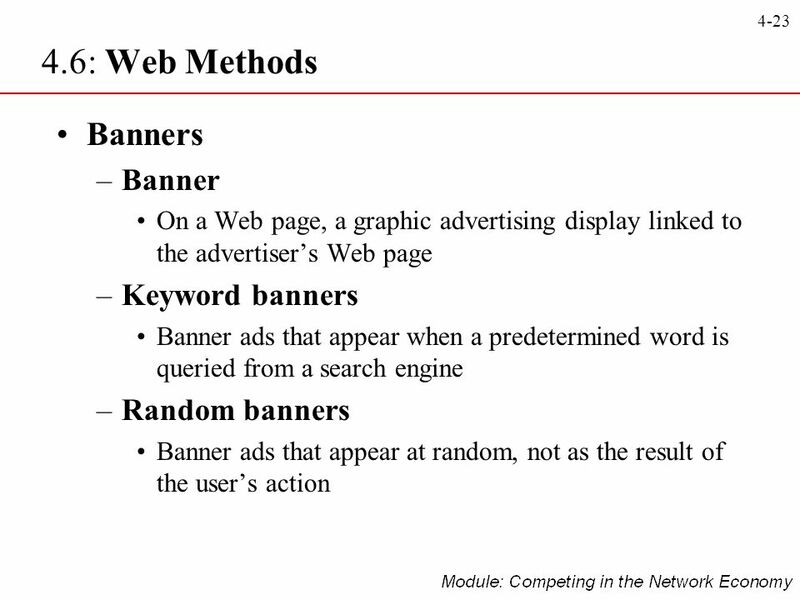 Advertisement Methods Considerations in Internet Ad. 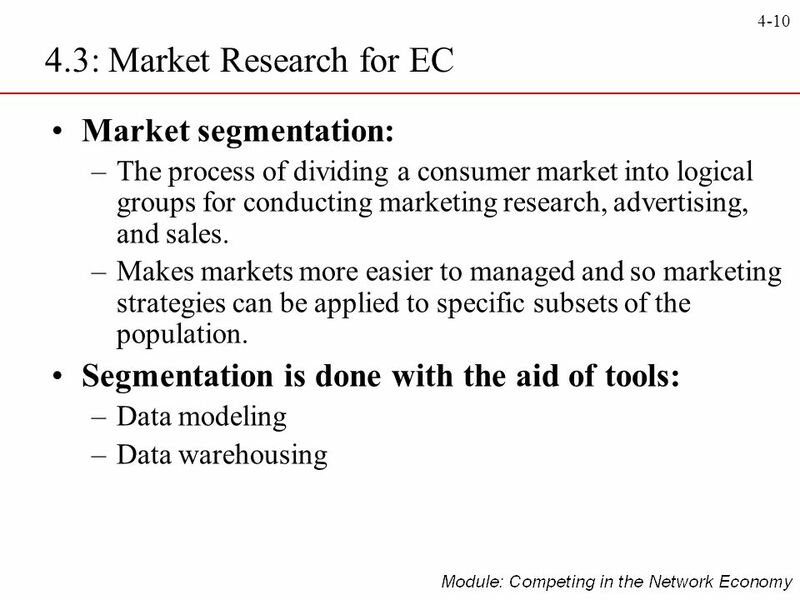 Chapter 4 Consumer Behavior, Market Research, and Advertisement. 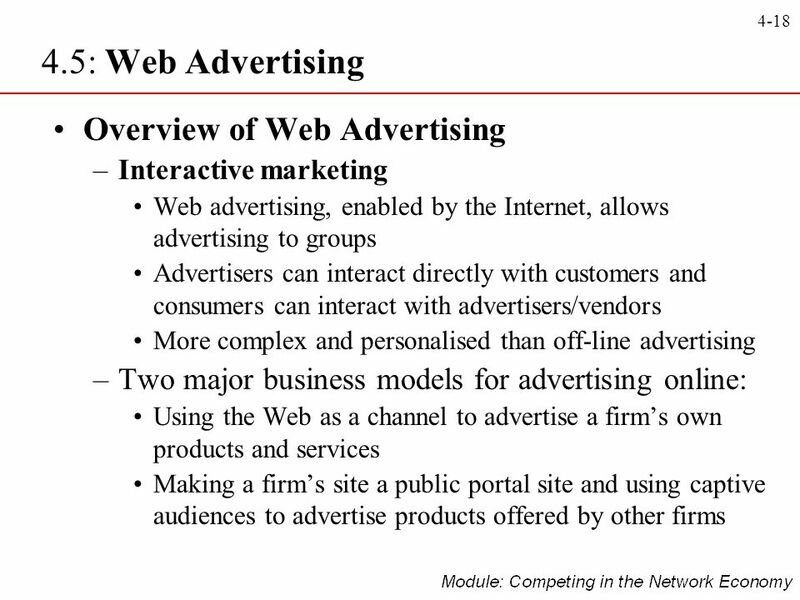 1 Pertemuan 16 Understanding Online Advertising Matakuliah: J0324/Sistem e-Bisnis Tahun: 2005 Versi: 02/02. 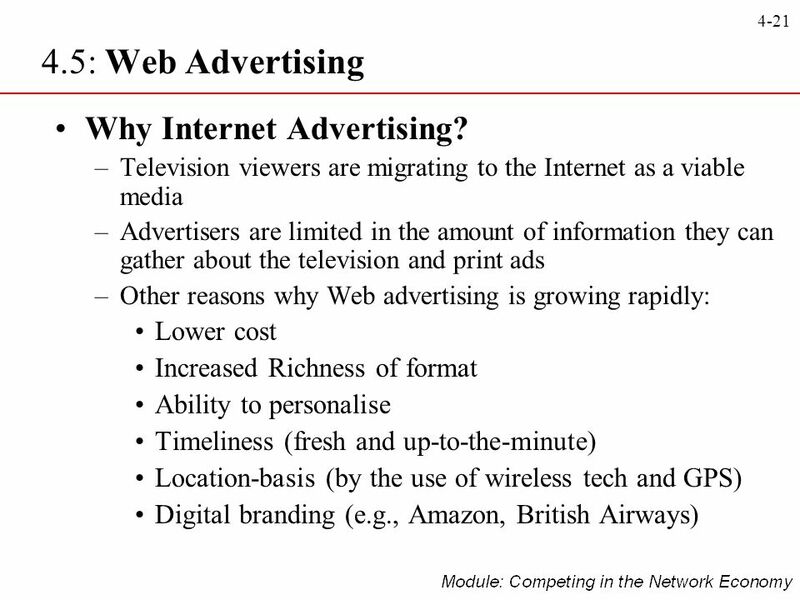 © 2008 Pearson Prentice Hall, Electronic Commerce 2008, Efraim Turban, et al. 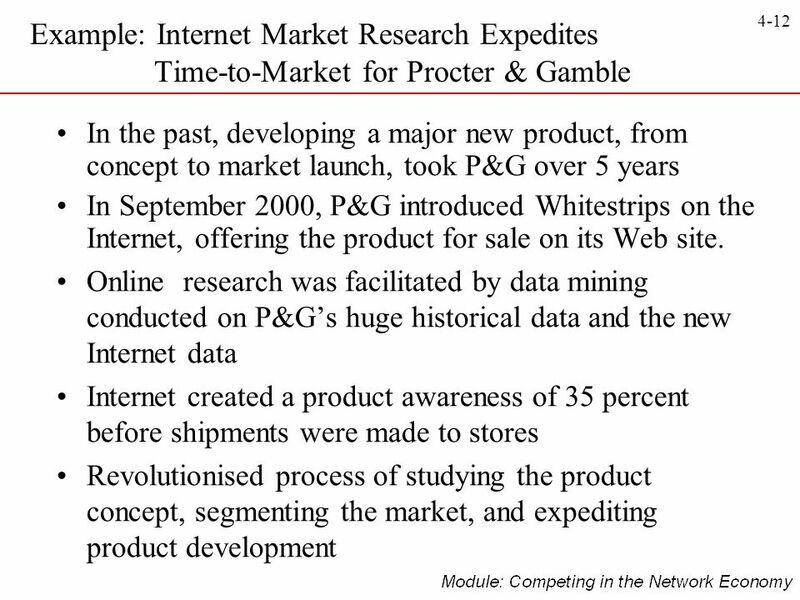 Chapter 4 Consumer Behavior, Market Research, and Advertisement. 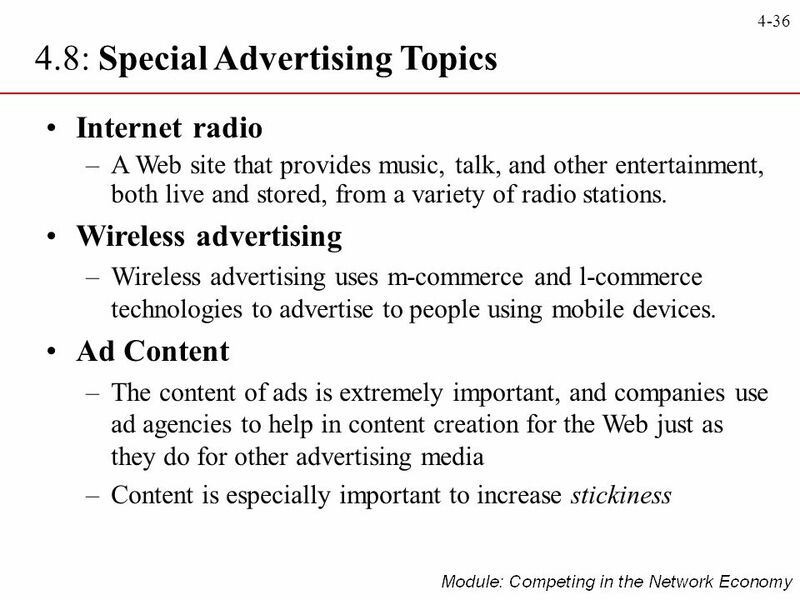 chapter 9 Communication McGraw-Hill/Irwin © 2004 The McGraw-Hill Companies, Inc., All Rights Reserved. 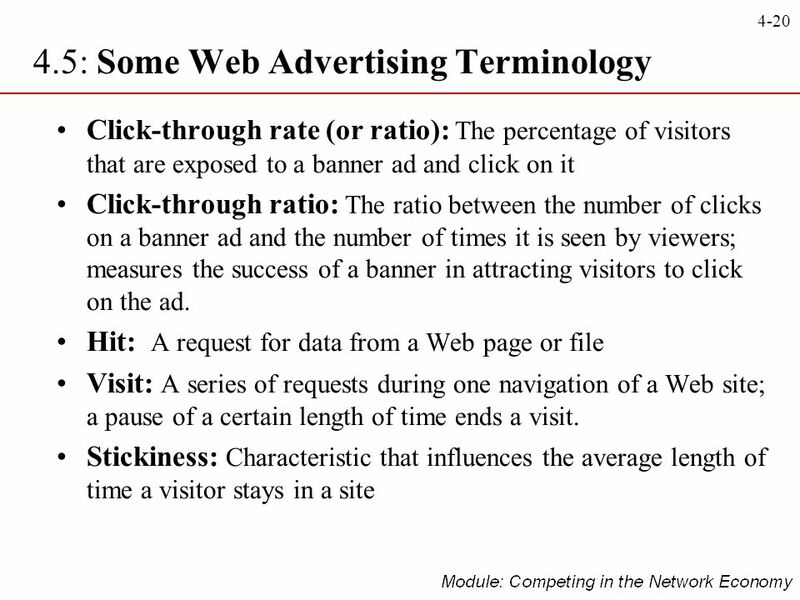 1 Pertemuan 15 Understanding Online Advertising Matakuliah: J0324/Sistem e-Bisnis Tahun: 2005 Versi: 02/02. 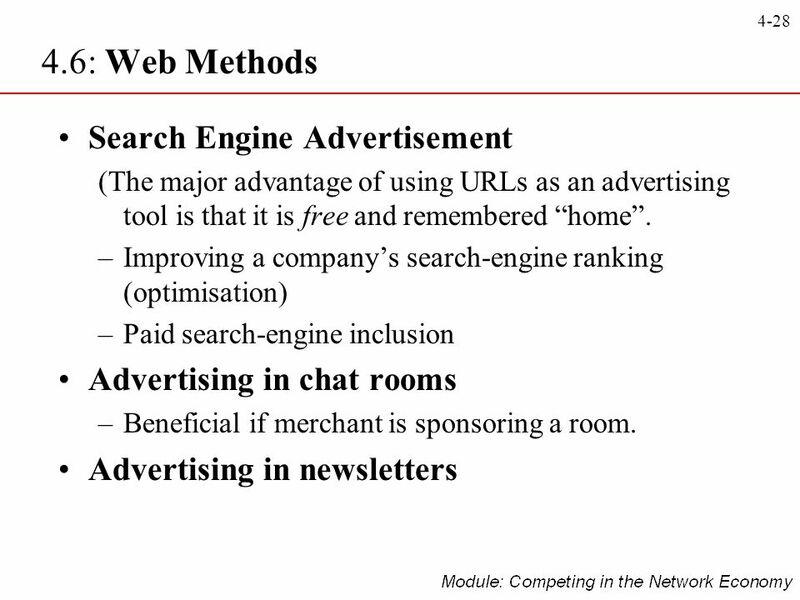 Web Advertising. 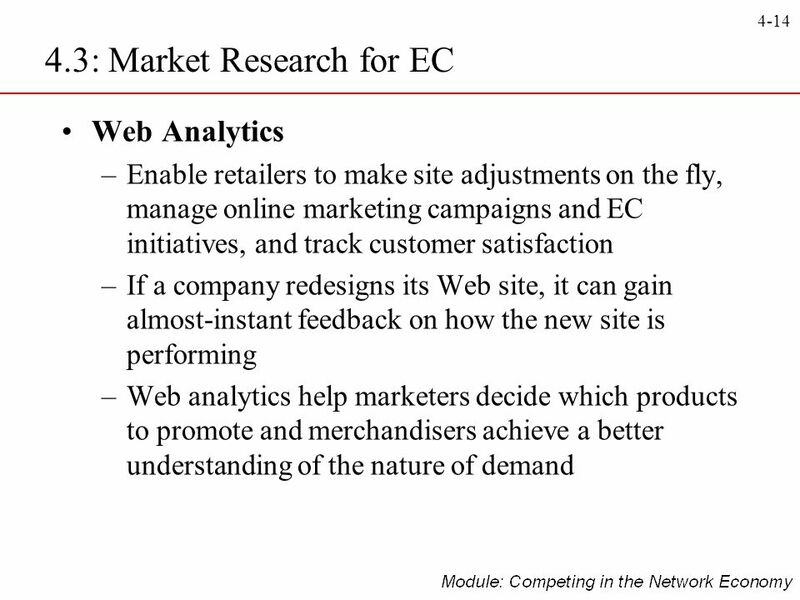 Electronic CommercePrentice Hall © Web Advertising Overview of Web Advertising interactive marketing Online marketing, enabled. 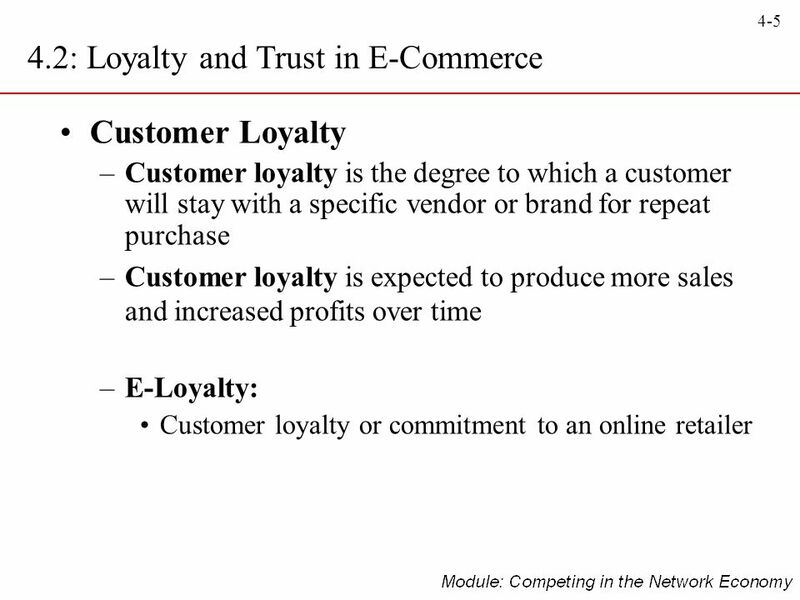 Consumer Behavior, Internet Marketing, and Advertising Kingdom of Saudi Arabia Ministry of Higher Education Al-Imam Muhammad bin Saud Islamic University.